Dr Connell graduated from Sydney University in 1993 with first class honours. He has since pursued further study and was awarded the prestigious Fellowship of the Australian College of Dental Surgeons in 2003. He also received the University of Sydney Clinical Diploma in Oral Implants in 2005. Special interests include reconstructive and implant dentistry and he has completed over 2000 implant cases. He is a certified invisalign and CEREC dentist. Dr Connell practices in both Bowral and Macquarie St. Sydney and provides surgical implant services for numerous private practices in both Sydney and regional areas. 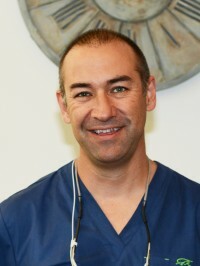 Dr Connell also maintains a keen interest in children’s dentistry and has four of his own children who keep him thoroughly occupied when he is not practicing dentistry. Jonathan graduated from Charles Sturt University in 2014. 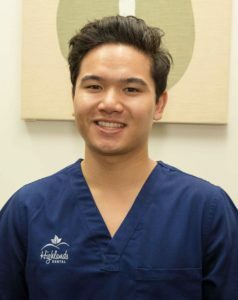 He has developed his experience by spending considerable time in regional NSW, providing oral health care to patients in areas including Orange, Dubbo, Bathurst and Wagga Wagga. Growing up in Bowral, Caitlin is a true local. 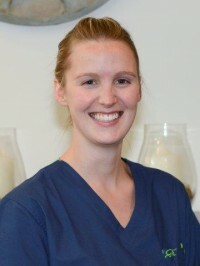 After achieving a Bachelor’s Degree in Health Sciences Endorsed in Dental Hygiene attained from the University of Otago in New Zealand in 2007, Caitlin has returned to her hometown to practice as a Dental Hygienist. Cailtlin’s passion for dental hygiene has been serving our patients for over four years, and with a strong dedication to educating patients on optimal dental health routines, Caitlin has become an essential member of our team. She is dedicated to helping her patients obtain good oral health and believes that prevention is essential in dental health. Caitlin has a knack for putting anxious patients at ease and loves working with children and ensuring her patients have happy and healthy smiles. Prior to joining us at Highlands Dental, Caitlin worked alongside her father who is an experienced Periodontist. Caitlin has recently returned to work after having a little Boy. 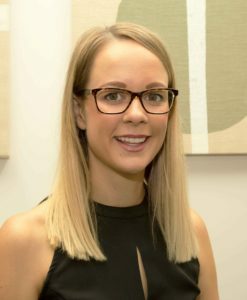 Sophie started working as a Dental Assistant in 2008, however since that time she has managed to work on and off whilst travelling to various exotic locations and also having the privilege to work alongside prosthetists and oral surgeons. 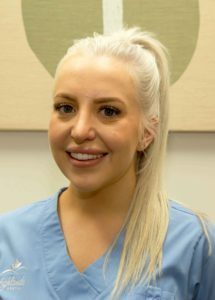 Highlands Dental’s unique practice has meant Sophie could expand her interest in surgical procedures and dental implants whilst also managing the practice. Sophie is your go-to person for treatment planning and treatment coordination. When Sophie isn’t busy managing our Highlands Dental practice, you will usually find her outdoors – at the beach, bushwalking, surfing, spending quality time with family and friends, or walking her two (fur) babies Billie and Eddy. 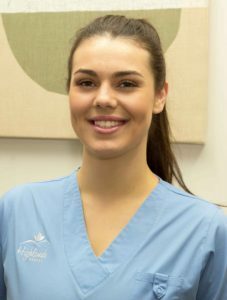 At the tender of age of 16 Amanda started her first foray into the wonderful world of dentistry, working at numerous dental practices as a dental nurse. However, now she has found her passion in offering personalised customer service here at Highlands Dental, ensuring every single patient is greeted with a friendly ‘hello’ and welcoming smile. When Amanda isn’t busy running our Highlands Dental front desk and keeping everything in order she can be found planning her next holiday, or with her husband sampling the wares in many good restaurants, she is quite the foodie! And, if you happen to know any good true crime novels for her to read, make sure to recommend them to her when she greets you at your next dental check-up! After completing her studies at the Sydney Dental Hospital, Amber has achieved over 7 years’ experience in working as a dental assistant. As a dental assistant, Amber’s work here at Highlands Dental has also allowed her insight into periodontal treatment and dental surgical procedures. She has also developed a particular interest working with patients to help them achieve their best oral health, in particular helping patients who wish to have their teeth straightened using Invisalign® to achieve better jaw and teeth alignment, which will help improve their oral hygiene routine as well. Amber is an avid reader but also likes to get out and about socialising with friends and family, going for walks to explore new places, and also keeping up with the latest trends in make-up and beauty products. 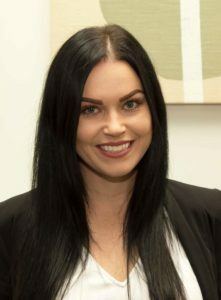 Michelle completed her studies at Sydney Dental Hospital and has been working as a dental assistant for 2 years, discovering all the fascinating facts surrounding dental surgical procedures, in particular dental extractions, dental implants, and infection control. Michelle loves working in the medical field of dentistry here at Highlands Dental but in her spare time you can find her playing pretty much any type of sport! When she is not busy running around a court/field or encouraging her team mates, you will find her enjoying the beach or hanging out with friends.